Australian universities are moving away from the provision of dedicated lecture theaters. This change in physical spaces provides the opportunity to think about how to improve teaching. As an example, the Australian National University (ANU) is replacing the central Manning Clark lecture theatre complex with flexible learning spaces, as part of the Union Court Redevelopment. The obvious approach to consider is the flipped classroom. Apart from improved education, this will halve the amount of formal teaching space required. A common teaching format is three one hour lectures a week and one tutorial of one hour. However, a student who has sat through three hours of someone talking at them in a darkened room is not likely to recall much, the following week when a tutorial is held. With the flipped classroom the student reads material on-line on their own, watches some videos or listens to an audio podcast. They do a short quiz or exercise immediately after, to consolidate the learning. Within a few days they then attend a face-to-face session where they listen to a presenter for a few minutes, do a small group exercise, listen to the results from other groups. Key to both distance education and the flipped classroom is to have the students doing something active. Also key is to have this activity assessed and to provide the students with feedback on how they are doing, as soon as possible. But is it feasible to replace lectures and tutorials with a flipped classroom? Will it take too many new buildings and staff? Consider a typical course with 300 students enrolled and tutorials of 20 students (from p. 4 "A Guide for Parents and Carers", 2016). A typical course will have three one hour lectures a week and one tutorial of one hour. Assuming a 300 seat lecture theater is available, one lecturer can provide the lectures in three hours and 15 tutor hours will be required per week. This would require a 300 m2 lecture theater for three hours and a 40 m2 tutorial room for fifteen hours per week (using usual space guidelines). This is a total of 5 m2 hours of floor space per student per week. A room for cabaret style flipped teaching, such as MIT's Technology Enabled Active Learning (TEAL) or the ANU Physics Studio, requires about 2.5 m2 per student. The 300 students would require 750 m2 with 34 tables (each seating nine students). As well as TEAL* this format of classroom is also called SCALE-UP: Student-Centered Active Learning Environment with Upside-down Pedagogies (or Student‐Centered Active Learning Environment for Undergraduate Programs), ALC: Active Learning Classrooms, or TILE: Transform, Interact, Learn, Engage. A cabaret style room requires about two and a half times as much floor space as a conventional lecture theater. However, saving is made in floor space, as each student spends less time in the room, with the flipped approach. There is also no need for a separate tutorial room. 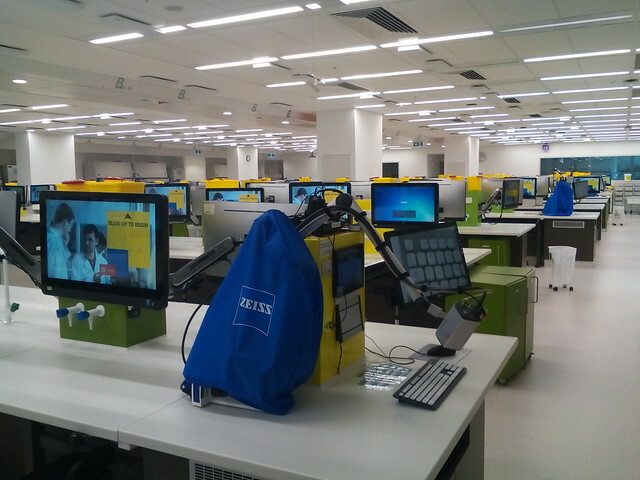 Such large teaching spaces do exist, as an example, the University of Sydney "X-lab wet lab" accommodates about 240 students. However, the X-lab has a very sophisticated (and expensive) audio system allowing it to be divided for smaller classes. A more workable option may be to divide a course into multiple sessions. This also provides the student with the option to choose a time which better suits them. A course of 300 students could be divided into two groups of 150. This would require a room of 375 m2, about 19 m2, with seventeen tables. This is a total of 2.5 m2 hours per student per week. Each flipped class will require a lecturer to be the MC and about five tutors (one for each four tables and one to assist the lecturer). If each student undertakes one workshop of one hour per week, there would need to be two classes a week (or one a week for a two hour class). The two hours of flipped class per week will require about the same amount of staff time as the four hours of lectures and tutorials. An emcee (equivalent of a lecturer) will be required for the two hours. While this is less than the three hours of lectures, they will also need to supervise the on-line component of the flipped class and handle the increased complexities of the flipped mode. While only 10 hours of tutor time are needed in the face-to-face class, there will be extra work for the digital teaching in on-line classes. One advantage of cabaret style teaching rooms is that they do not require a purpose built building. Libraries, offices and commercial buildings with flat floors can be re-purposed for cabaret style teaching These changes can be temporary, using mobile furniture and equipment. When not needed for classes the space can be used informally by students. The ANU Physics Studio, in a former chemical laboratory, is an excellent example of this approach. The cabaret rooms, with movable furniture can be adapted for other teaching styles, best illustrated by the University of Canberra's Inspire building TEAL room*, which has semi-curricular flip top tables which can be quickly reconfigured during a class for different teaching styles, or packed away for a function. Before cutting the space budget at universities, administrators need to consider where students will study when not in formal classes. With an emphasis on group work, students will need somewhere to do that group work. This will not involve an instructor and not be scheduled on the university timetable, but is still key to learning. Learning commons and uncommitted time in the flexible teaching rooms will be needed if the students are to meet on campus. Also students undertaking lab work with specialized equipment will need time to work. In 2008 I gave up lectures and moved my teaching on-line. With new teaching spaces available it may soon be time to go back to the classroom. I will discuss some of this in "Dogfooding: Learning About Teaching by Being an On-line Student", for the ASCILITE Technology Enhanced Learning Special Interest Group Webinar (TEL edvisors), 4 May & Human Centered Computing Seminar, RSCS, ANU, 15 May 2017. * ps: The University of Canberra's Inspire building TEAL room is colored teal (blue-green), which may be a joke by the designer. UNESCO have released a policy paper on "Six ways to ensure higher education leaves no one behind" (20 April 2017). Know your target for equity policies. Review equity policies periodically to make sure that the groups that most need help are getting it. Take advantage of household surveys and other monitoring tools to keep track of different groups. Set up steering and monitoring agencies. Guarantee student protection by establishing national agencies to develop and follow up on equal opportunities policies, equity and affordability in higher education. Quality assurance bodies can play a role in the monitoring of equity policies. Level the playing field. Use a combination of admissions criteria to ensure that all students have a fair chance at getting into the best universities, regardless of their backgrounds. Develop effective affirmative action policies that put equity front and centre in the admissions process. Combine tuition fees with means-tested grants and loans. Concentrate public financial aid on disadvantaged student groups. Establish an agency to coordinate student financial aid disbursement and effective collection mechanisms. Limit student repayments. Combine low tuition and fees with income-based loans to cap student repayment burdens at less than 15% of monthly income. From: Six ways to ensure higher education leaves no one behind, Page 10, UNESCO, 20 April 2017. Concentrate public financial aid on shorter introductory vocational programs. The funding needed for one student to undertake a three year degree could instead provide three students with a one year diploma, or six students with a six month certificate. Once the student is qualified for a well paying job they can fund their own studies. Train Academics to Teach On-line: On-line and blended learning provides considerable potential for providing equitable access to education. However, many university academics have minimal training in how to use computers for teaching. Academics should be trained in how to teach in blended and on-line modes using courses delivered in blended and on-line modes. The report "Facilitating Success for Students from Low Socioeconomic Status Backgroundsat Regional Universities" by Marcia Devlin and Jade McKay has been published by Federation University Australia. There are no real surprises in this 110 page report. Some of the suggested areas for policy reform seem a little naive. We do not need a study to identify that financial security is an issue for students from low a SES background. Also the proposal to ensure financial stability for students would exclude many from higher education. The proposal for micro-credentials is worthwhile. However the term "micro-credentials" is misleading, as this suggests a credential for a few hours work. What the report appears to be proposing are sub-degree qualifications: certificates and diplomas. These take six months to a year of study. These are not "micro-credentials" and are already allowed for in Australian Higher Education. All that is required is the government funding incentives to implement them. Government could encourage institutions to implement nested qualifications. That is, students would be able to exit with a qualification after six months or one year and be able to reenter the same program later. Government could encourage this by making it a condition of the funding of degree programs: that is degrees which did not have a nested option would not be funded. Shorter qualification are more common in the Vocational Education and Training (VET) sector, than universities. Government funding to encourage students to undertake VET before university would likely improve success rates for low SES students. Many regional universities have co-located VET facilities and this should be relatively easy to implement. What the report does not seem to address is improving the inclusiveness of higher education, through better course design and use of trained teachers. This is an area where the regional universities have an advantage over the capital city research universities. Cathy Stone's National Guidelines for Improving Student Outcomes in Online Learning provide a useful set of tips for improving e-learning which are also applicable to campus-based programs. The report also fails to address the role of e-learning in facilitating success for students. E-learning is normally considered to lower student success, compared to on-campus students. However, e-learning allows students who would otherwise not be able to access higher education at all to participate. E-learning offers a way to provide cost-effective support for students from low SES backgrounds in regional areas. In 2016, just over 70% of NSW students undertook some further education or training within six months of completing Year 12. Just over 51% started a Bachelor degree and just over 9% a vocational qualification and 10% an apprenticeship or traineeships. This is from the NSW Secondary Students’ Post-School Destinations and Expectations2016 Annual Report, prepared by the Social Research Centre of the Australian National University, for the NSW Centre for Education Statistics and Evaluation. In my view teachers and government need to encourage more students to undertake vocational qualifications. A Webinar is a seminar conducted using Web browser based video-conferencing software. The webinar usually follows the conventions of a seminar, starting at an advertised time, with a moderator introducing a speaker. The speaker is usually accompanied by a slide show and occasionally short prepared animations or video sequences. The audience can ask questions via a text chat window, or by audio (monitored by the moderator). There may be polls where the audience answer multiple choice questions. While some webinars have live video of the speaker, this is not necessary and may cause problems for participants with limited bandwidth. A still photo of the speaker at the beginning of the session is sufficient. Similarly, while audio questions from the audience make the seminar more engaging, this can cause technical problems and many webinars use only text chat for audience participation. Webinar software also has provision for the speaker to draw on the screen and show a live application. These features are also rarely used, due to the tehcnial problems they can cause. Most webinar systems allow for the session to be recorded, including the audio, video, and text chat. The moderator needs to remind the participants that the session is to be recorded and who will have access to the recording. They also need to indicate when the recording ends. Webinars are a useful synchronous (real-time) supplement to the more usual asynchronous (non-real-time) on-line recorded video, text and text based forums. Webinars are used because they are more engaging for the participants than just watching a video, or posting to a forum. However, the real-time nature has its limitations, in terms of scheduling and the ability of some to participate and so should only be used as a supplement. Some commonly used products for webinars are Adobe Connect and Blackboard Collaborate. 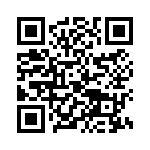 A free open access product is BigBlueButton (provided free with Moodle Cloud). ps: One tip is to provide the date and time for a webinar in the local time using the formal official time zone designation. If international participants are expected, then also provide the time in UTC. The Australian Student Experience Survey 2016 has been published by the Australian Government on the Quality Indicators for Learning and Teaching (QILT) website. Overall the news is good, with a Teaching Quality rating of 81% overall. The result which the media has focused on is that the Group of Eight leading universities scored below average for student satisfaction. However, these are leading universities based on the quality of their research. If students want a better educational experience they should choose an institution which has education as the priority, not research. However, contrary to the advertising by universities, study is not fun, it is very hard work, stressful and frustrating. One other finding is that the percentage of higher education students who considered dropping out is higher for External/Distance students is 17% higher than for other students (21% versus 18%). This is also not a surprise, as it is more difficult for distance students to remain engaged. But what is surprising is that overall at all times about one in five students are considering dropping out. Last month Dr Cathy Stone produced National Guidelines for Improving Student Outcomes in Online Learning. While intended for e-learning, these measures be applied to improving retention of on-campus students as well. The reason for 41% of those considering withdrawing is health or stress. Course designers can assist this by reducing the stress caused, especially by assessment. I suggest the use of early and frequent progressive assessment. A surprising result is the percentage of students with low grades who had considered quiting. The higher the grade the fewer students consider quitting. However, about 45% of students with a grade of 49% or lower consider quitting. This seems a low figure and I would have thought more students would consider withdrawing. While universities should have measures for retaining students, they should also be encouraged to withdraw where the course does not suit them. As part of my Four Steps to Digital Teaching here is a real example of simplifying a course web page. This shows the page for my ICT Sustainability course as it was when first offered at ANU in 2009 and the latest version in 2016. Between 2009 and 2016 I removed the paragraphs of text, as the emphasis should be on what the student needs to do. The details of why and how are now in subsidiary documents. The Terminology List, Course Outline, and Background have been consolidated into an eBook of course notes. There is a chapter in the eBook for each week, which includes the "Read me first" and "Work Notes". The list of major assessment items had been added to the top of the page. A reminder is timed to appear a week before the assignment is due and again the week due. The links point to where the assignment is submitted, which is also where information about how to complete the assignment is provided. This avoid confusion when students get multiple and contradiction sets of instructions about assignments. However, having the full title of each assignment makes for a lot of text and I am shorten this in the next version. The "Discussion Questions" are now listed at the end of the chapter of course notes for the week. Each question is also posted to the "weekly forum" as a thread for the student to reply to. This way the student is prompted by the system to enter their answer. The "Friday Message" to students is now posted to the weekly forum. This provides feedback on how the students are doing overall, which research suggests the students appreciate. A weekly automated "quiz" has been added. The quiz and discussion forums have time limits. The student has a week to contribute and receive a mark. A tick box indicates they have completed each of these tasks (as well as the major assignments). A timed "reminder" appears for the last day to drop course without penalty. At this point students have several weeks of assessment results and so very few students fail the course. The completion rate for the course is similar to conventional courses, but rather than fail, students withdraw while they can. Green ICT Strategies is an online course about how to use computers and telecommunications in a way which maximises positive environmental benefit, with minimum energy and materials use. Understand environmental, social and business context for sustainability, and overview of background, boundaries. Ensure that appropriate methods and tools for the planning, development, operation, management and maintenance of systems are adopted and used effectively throughout the organisation. Reminder: Assignment 1b due this week. Reminder: Last day to drop course without financial/academic penalty is 31 March 2016. To help with the change in teaching techniques at ANU, I have set out Four Steps to Digital Teaching. These are illustrated on the cover of my book "Digital Teaching In Higher Education". The idea is to provide some quick and easy to understand steps to help academics to adapt existing courses and materials, not to turn them into educational designers or technology specialists. My approach, the educational jargon, is constructivist, collaborative and experiential. eBooks: Provide ebooks and other curated content on the topic. Finding what they should read, and do, when can be confusing for a student. The course materials should be laid out like a book, with a table of contents, providing an overview, the course materials and activities in the order in which the student should undertake them and at the end any additional material. There should be an introduction, and a list of all the assessment the student is to undertake. The electronic format used for the course materials and the providing it is not so important. However, using many different systems and formats can be confusing for the student. Discussion: Facilitate discussion between the students. Discussion is not only a useful way for the student to learn, but is a valuable graduate skill in itself. At least on asynchronous text based forum should be provided. Synchronous text, audio and video "webinars" may also be used, but students may not be able to all attend at the same time, so multiple sessions and asynchronous alternatives should be provided. Students need to be told in advance what the purpose of the discussion is, how they are expected to participate and how the discussion will be assessed. The discussion must be assessed in some way, to provide the student with an incentive to participate and to make it educationally relevant. eTools: Provide tools and techniques for the student to explore the topic. The basic tools used for a course will be the provision of reading materials, discussion questions and a forum to answer the questions in. Quizzes may be provided to help students with surface knowledge. There may be more specialized tools which emulate those of the discipline on-line or are actual on-line tools. Assessment, including formative feedback, to help them learn. Whenever a student is asked to do something, there should be some form of assessment to check how well they did it. For a standard twelve week course, there should be some form of assessment at least every week, making up about one to two percent of the total assessment per week. To improve learning and reduce the instructor burden, most of this assessment can be automated quizzes and peer assessment. The assessment scheme can be set so that this progressive assessment does not count for high grades (above a "Credit"). Assessment is stressful for the student and time consuming for the instructor. Stress and time can be reduced by using rubrics, to clearly set out what is required. Also firm deadlines with no extensions can help reduce stress and time: student then know when assessment is due and that missed deadlines result in zero marks. To make this less stressful small progressive assessment items can be on a "best of" basis, such as the best ten out of twelve weeks being counted. The University of Nicosia is offering a Master of Science in Digital Currency. This is notable for not only being offered on-line, but also having the introductory course free. The university also accepts payment for later courses using bitcoin and uses the blockchain technology the students learn about to issue a digital certificate to graduates. This is an example of dogfooding: the university is demonstrating it is willing and able to use the technology, not just teach about it. The full cost of the Masters is €11,760 (about AUD$16,000). This is about a third less than I paid for a Masters (of Education) in Canada and quite a bit cheaper than at an Australian university degree. Some Australian universities are offering credit towards a degree for completion of a low cost introductory on-line course. Four go further and offer credit for one quarter of a masters degree for completion of on-line courses. It will be interesting to see if these increase program enrollments and improve program completion rates. However, this may have some negative public education policy implications. One of the advantages for students is that with a free open course you can have a look at the materials, so I filled in the enrollment form for Introduction to Digital Currencies (DFIN-511). This provided intimidate access to the program's Moodle website. The course has a conventional e-learning format, with twelve weekly topics, each with notes, a quiz and a live forum. The course web page is very plain, easy to read and uncluttered with excess images and formatting (just the way I like it). The live forums are at 5pm UTC, which is inconvenient for Canberra, being 2am, but the sessions are recorded. Also the time is not given in UTC for some forums (I am not sure what EEST, EDT, BST, or PDT are). While I was not intending to undertake the course now (the latest cohort of students is up to week 8), I completed the pre-course survey. This asks about the background of the student and any experience with the topic of the course. It was implemented using Survey Monkey and at the end left me stuck at a Survery Monkey advertisement. I had to use the browser back button to find my way back to Moodle. It would be less confusing if Moodle own survey module was used. The first video was a "talking head": the instructor sitting in a bare room just talking. The audio was clear, but an hour long video of one person talking is forty minutes too much. The notes for week 1 are a 2.4 MB PDF file (not too large), containing 50 slides. These are excellent slides, but I would have preferred a set of notes. The slides are not much use without an accompanying audio commentary (which I could not find). The first quiz had twenty multiple choice questions. This took me six minutes and I scored 8.33 out of 10.00 (83%). This was without having read the notes, but with a reasonable level of background knowledge of the topic. The quiz is well implemented with the Moodle quiz module, providing the student with feedback for incorrect answers. This quiz would be enough to encourage me to study the material carefully, but not so hard as to be discouraging. The quiz allows another attempt, so I can study what I had missed and with the higher grade recorded from the attempts. I could not find a description of the assessment scheme for the course. The Moodle grade-book showed eleven weekly quizzes, each out of ten, equally weighted for a course total. However, there is no indication of what the pass mark is. Australian universities usually have a grading system with 50% as a pass, whereas vocational education may have a higher requirement.